All About the Benjamins Ceramic Bank will help you transform your pennies into benjamins! 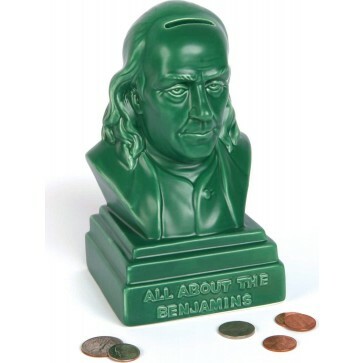 It's like Ben always said, "A penny saved is a penny earned." 4 x 7 x 4 inches.